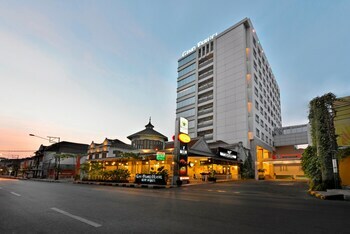 With a stay at Gino Feruci Kebonjati in Bandung, you'll be just steps from Chinatown and Santosa Hospital. Featured amenities include a business center, complimentary newspapers in the lobby, and dry cleaning/laundry services. Event facilities at this hotel consist of conference space and meeting rooms. A train station pick-up service is provided at no charge, and free self parking is available onsite.